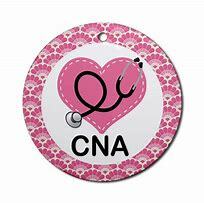 The End Of My CNA Journey (Part 2). The second part of my journey started in a Geriatric ward of a Assisited Living Facility,in which I worked either the upper floor or the bottom. I had never worked with residents with either Alzheimers or Dementia, so I was educated in it quite quickly as the first day I worked the person that was supposed to have trained me, never made it to work, when my new boss called and told me that the girl quit. I remembering gulping as I looked at the few people sitting at the kitchen table. I was told that if I needed anything not hesitiate to ask the upstairs person to help. The fisrt day was just like working anywhere, you help the resident to the bathroom and then to the kitchen or living room. Then you prepare their lunch and start their supper, for the other staff replacing you for the evening. The women were very pleasant, so the first day was going out with out any problems and the person working upstairs would come down and see how I was doing. At the end of the day, my boss called and said the overnight staff wasn’t coming in and asked if I would stay until they could get someone in to replace me. I said no problem. Um, thats when out of the blue, this little scratchy voice, kept saying mom,mom, mom, I tried to get her to calm down so I could call home and say I was going to be late. Telecomed the person upstairs and she came down and gave this little sweet lady, with the little scratchy voice, clothes that needed to be folded up. It calmed the little lady down and she was happy in doing it. I made my call, only she ran out of washcloths to fold and again came “mom”, “mom”. Supper was finally done and I brought all the ladies out to eat. It was after I put all the ladies to bed with the help from the staff person upstairs, that my relief came in and I went home. I left for the night and wasn’t sure if I was going to be able to handle working there.I wasn’t sure if I was going to be able handle the behaviors that I witnessed and had to work through those behaviors. But I stayed and even though you get used to the moms, or the sun has a lot of suprimacy, or I don’t belong here to one putting you in a head hold because she didn’t want to get ready for the day. I even had a day where I made Corned Beef and cabbage and everything was going really well til I smelled smoke and the cause was one of the women had put the towel in the dishwasher to wash. I think about this now shake my head. To one day baking chicken and find laundry in the oven. I didn’t understand sometimes why they would act this way, til I was told that the elderly with alzheimers revert back to how they did things growing up. I stayed with the company for quite some time til I felt it was time to move on. This was a tough job,but I enjoyed it and I learned knowledge and learned respect for the elderly, I learned about death too as I have had a few die in my arms. Stay tuned to part 3. of the story. You won’t want to miss it. I’d recommend inserting a link to the first part in this post (and then, once part 3 is up, do the same), so that those who skipped part 1 can easily navigate to it.